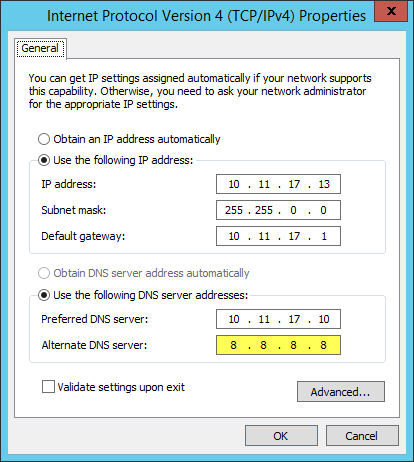 I recently encountered a mail flow problem in an Exchange 2016 environment, that was being caused by the DNS configuration on the Exchange server’s network interface. I removed the external DNS entry, so only the internal domain controller and DNS server was used. After rebooting the server all mail flow errors was resolved, and the Application log cleared up again. Remember, Exchange relies heavily on internal Active Directory and DNS services to support many internal services, including routing and mail flow.